In any birthday celebration, the cake usually takes center stage. 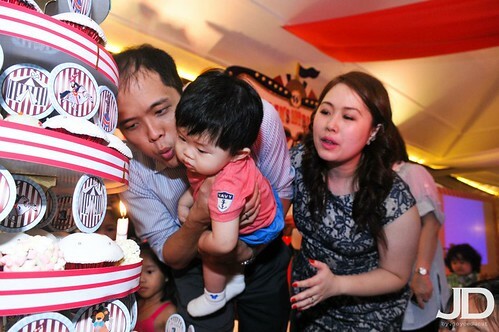 The celebrant’s candle blowing is marked as one of the event’s highlights. Warren’s celebration was no exception. 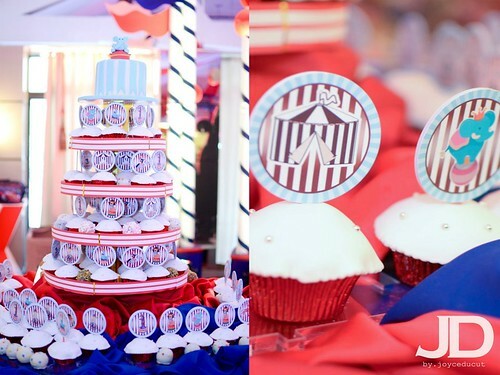 Since we had a circus or carnival party theme, I decided to have a simple powder blue cake accented by a circus elephant for Warren. This was done by my good friend Anna of Sweet Fusion Manila. She likewise did all the cupcakes and the lolliballs. I bought the cupcake tower from RM Boxes and had the cupcake toppers and striped linings printed by Souvenirlab.